You are buying Enfamil Nutramigen Ready To Use Infant Formula With Lipil 32oz Each, Model #1058825. ADW Diabetes offers a complete line of Enfamil baby formula products both in liquid and powder form. We offer these items in both single and discounted bulk quantities for your convenience.Shop with ADW Diabetes as we provide excellent customer service, low prices, and fast shipping! 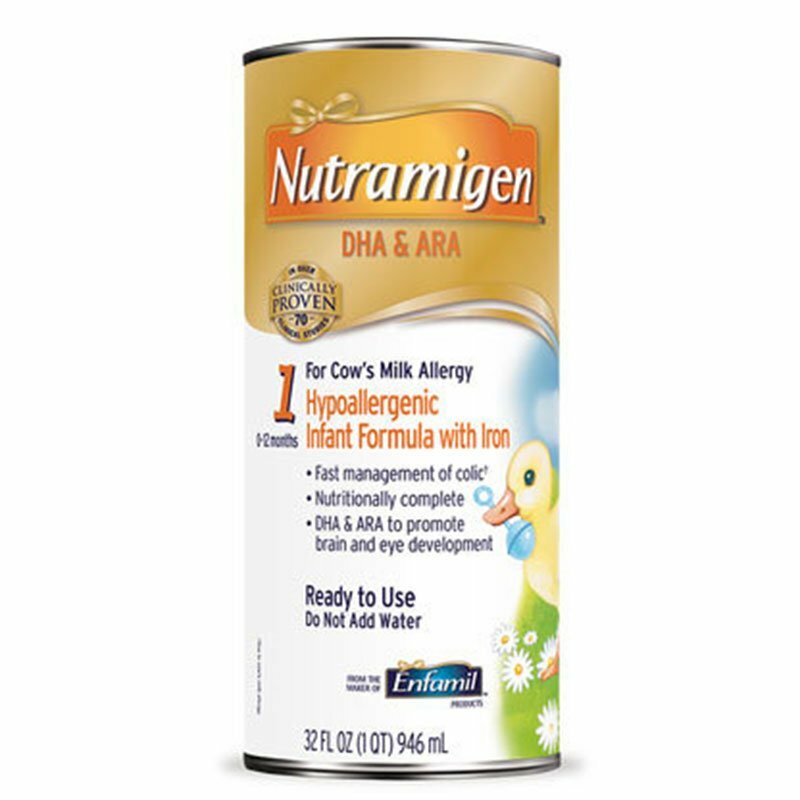 The Enfamil Nutramigen Ready To Use Infant Formula With Lipil 32oz is a hypoallergenic formula proven to manage colic due to cow's milk protein allergy fast, often within 48 hours. If your baby has an allergy to the cow's milk protein in infant formula, Nutramigen has hypoallergenic proteins that are easy to digest and so small the body does not recognize them as a potential allergen. Manages colic† fast, often within 48 hours. Nutritionally complete, so infants can do what they do best-growing, laughing, exploring, and thriving.